If winter sports are your thing, the French Alps is definitely the place to be. 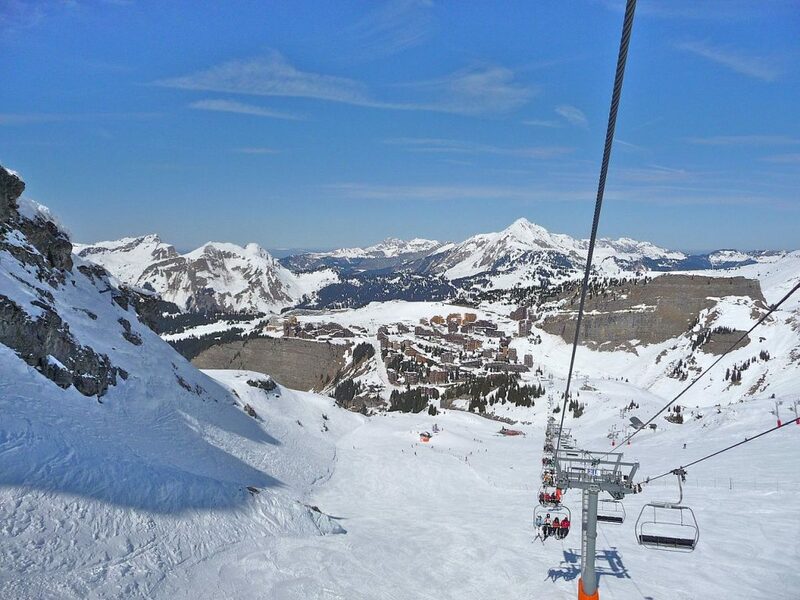 With miles and miles of skiing pistes covered in snow,” Les Portes du Soleil” (literally “The Sun’s Doors”), is actually one of the vastest skiing area of the world. And in this wonderful scenery one resort take the central location. It is Avoriaz. Hidden in the massive peaks of the French Alps’ mountains, Avoriaz is one wonderful skiing resort preserved from pollution. As it is forbidden to car and other vehicles using a fuel-working engine, pedestrians can enjoy a fresh and pure air while they are skiing or wandering in the area. If you find walking too outdated to move from one place to another Avoriaz start offering snow caps and horse-drawn sleighs services to preserves your legs and feet. Ranking among the top ski destination of the world, the resort won the ECO Award rewarding the “most innovating ski resort of the world” during the 2013’ ceremony of the Worlds Snow Awards. In a very peaceful atmosphere – yet offering a lot of innovating and dynamic layouts- Avoriaz is eventually the perfect place for families and groups. 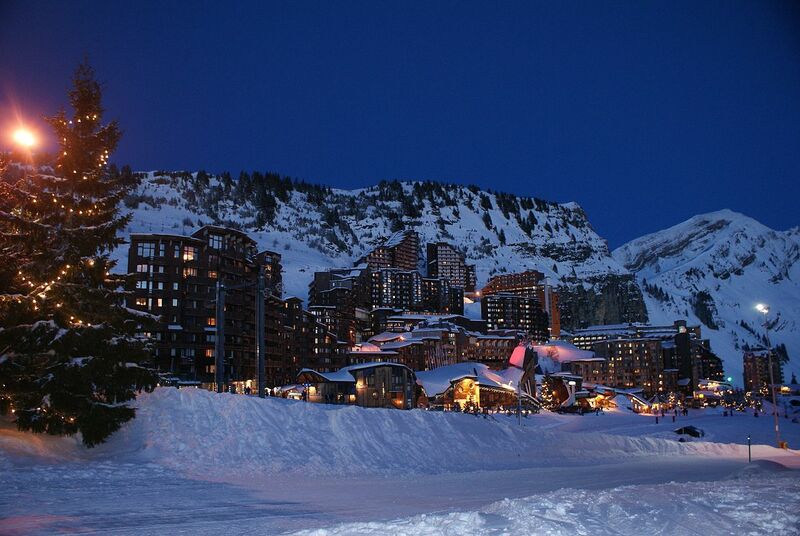 As an evidence of this statement, notice that the ski resort won the price “Best family resort” during the 2012’ Worlds Snow Awards and let the possibility to tourists to rent a lot of various types of accommodation in Avoriaz. Besides skiing and fun activities –details below- you can benefit from a session to the backcountry to discover the peculiar wildlife and flora that Avoriaz has to offer. Open also in summer hiking, via ferrata or canyoning is probably what you will want to do. If one of Avoriaz’ piste layout – “The Stash”- was elected “best spot of the world” by the CNN in 2014 it is because this ski resort has a lot to offer. With already almost ten awards and labels, it actually shows innovating and very interesting new layouts in a mind-blowing setting. Indeed, Avoriaz has 51 skiing pistes layouts especially designed for kids, teenagers and adults spreading on 75.5 km (without noticing the whole domain of “Les Portes du Soleil”, which you can access from Avoriaz). True paradise for ski and snowboard lovers, the ski resort goes from France to Switzerland with all natural, safe and playful paths. Because it is so vast, it is possible to enjoy your ski during a whole week without event using the same track twice, whatever your level. You will find 5 snowparks, 12% of green pistes, 49% of blue pistes, 27% of red pistes and 12% of black pistes. Because skiing is not the only thing you can do here at the station, notice that you will have to quit your apartment in Avoriaz to discover all the activities of the resort – as in gourmet restaurants, trendy nightclubs, magical shows on snow, wonderful spas, sports hall, and more.